Extra large (X-Large), volcanic basalt stone for Hot Stone Massgae. Beautifully carved. Used as a 'Placement' stone on the sacrum or lower abdomen. Our Extra Large Stones have a good weight but aren't too heavy for the client. The image shows an oiled stone. 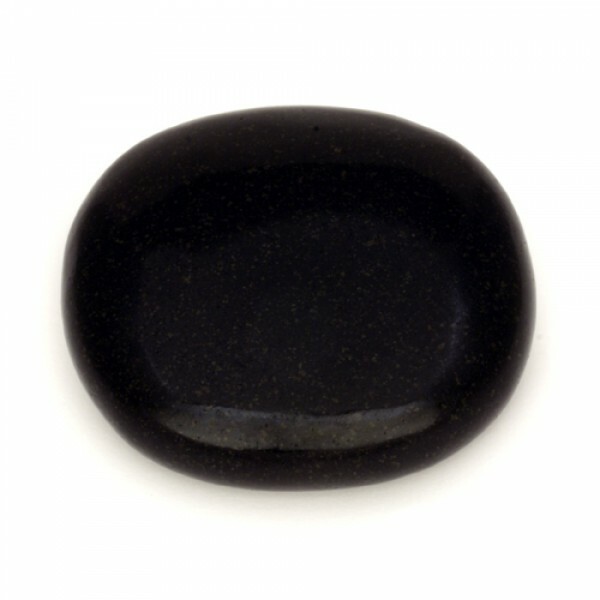 All stones are sold un-oiled and will turn a dark black once oiled. The stones you order may differ slightly from those pictured. Extra large (X-Large), volcanic basalt stone for Hot Stone Massgae. Beautifully carved. Used as a ..
Two large, circular, volcanic basalt stones for Hot Stone Massage. Beautifully carved, symmetricall..
Two large, volcanic basalt stones for Hot Stone Massage. Beautifully carved, symmetrically paired. .. Thick, sausage-shaped, volcanic basalt stone for Hot Stone Massage. Beautifully carved. This stone..